Next big update is coming for Android users and the rumors suggest that the new upcoming Google Pixel 2 would be powered by Android O. However, this new Android version is still under development. Now it is highly recommended to install the latest Android O if you have a secondary device. Because as this version unfinished there are many bugs and error can affect your device normal functioning. Many features are coming with the Android O version, which you might be interested in having on your Android device for sure. Features like picture-picture, autofill, dot notification, improved battery saving feature, Google Play Protect etc. are the highlight of upcoming Android 8.0. However, the Android O preview version is released now and if you want to download it then some things you should keep in your mind. The 8th generation full Android version will get released later this year. 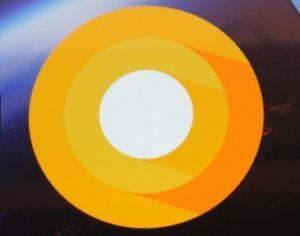 If you want to install the latest Android O-beta version on your Android device let’s get into more details on this; as you need to some important points upgrading to the Android O 8.0. How to install the latest Android O? To have the Android O [Beta], you must have the Google C, Google Pixel, Google Pixel XL, Nexus 6P and Nexus 5X. Or else, you have to wait for the full Android O release, which will come after a few months later. So, if you own any of the mentioned devices, you will be able to download and install the latest Android O on your Android device. But note that, Android O is now still in beta testing mode. So, upgrading to Android O, you will become a beta tester of their program. You might feel might face many lags and errors installing the latest Android O. So if you thinking to upgrade it to your one and the only Android device then make sure you have a backup device. Because as a daily driver, there could be many trouble in opening some app, loading issues and much more. So, if you ready to test the new Android O then follow the guide and tips to have this on your device. As of now, there is no OTA update for the Android O in your Pixel or Nexus device. Flashing your device, you need to download the Android O and install it. Since we need to flash our device, it is recommended to back up your all-important files. Note that your device will be fully resettled with the new Android version. You can connect to a PC or laptop with simple drag and drop process can be backup some of the important files. You might like to store your contacts, which you can back up in the contacts settings. Import your contacts in SD card and all contacts will be saved. Also, Google Photos also a good option to reserve all of your Android files before jumping to the Android O update. Or make sure you have turned on the Backup feature in your settings, which saves your text messages, phone logs, clocks, and device settings in clouds. So, before you do this make sure to backup all of your important files from your Android device. Because the flashing method should erase everything from your device. Nothing to worry about this enrollment, this is all simple to do on your device. Just go to the Android device Settings. Navigate to the About device, where you can find Software info. Now, click on Build number several times, and your device will become in developer mode. It is necessary to do as because you need to execute with ADB Tool to flash your device and install the latest Android 8.0. After Download now follows the below instruction to boot up your device with the latest Android O. Attach your device to PC or laptop. And unzip the downloaded appropriate image file. Now with the adb tool execute adb reboot bootloader keeping your device power on. You may need to unlock device bootloader. To update your older device, execute fastboot oem unlock or to unlock your Google Nexus 5x and Nexus 6P fastboot flashing unlock. Navigate to the recently unzipped system image directory for your device and after open a terminal. Now you will need to execute script all command and it will install all requiring files and system setting for Android O. After scripting done, it will be rebooted. Again, boot your device into fast boot mode and execute fastboot flashing lock or for the older device fastboot oem lock. Hence, your device will be upgraded to Android O and can experience the features of newer Android version. Congratulation on installing Android O. So, this is how you can test out the new Android O version on your Google Pixel or Nexus. If you don’t have the mentioned device then the above process is not for you. Just follow the instruction on your device to get the latest Android O. And let me know how fluid it is on your device and how bad it is. However, the full version is yet to be released later this year. If you don’t have a backup device then do not install the Android O on your daily driver. Because I can see frequent lag and errors, as this is unfinished version till now. So, it will be wise to have a backup device before opting to this new Android version. After every possible steps and method having Android 8.0, let me know what’s the best feature of this new Android by commenting below in the comment section.